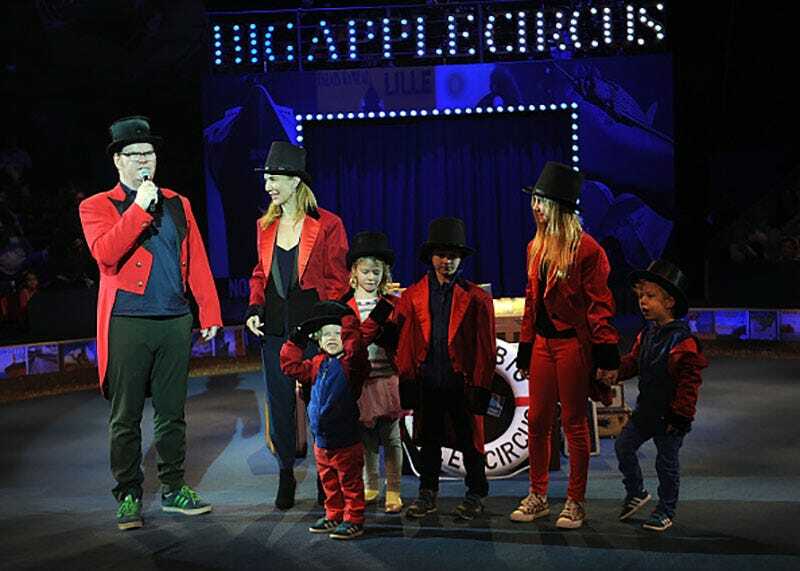 Comedian Jim Gaffigan and his wife Jeannie live in a two-bedroom New York City apartment with their five freaking kids. If that sounds like too much for you, wait until you hear that they regularly take the whole brood on the road. They once spent a summer together in a bus for Dad’s cross-country standup tour, and they even travel internationally, en masse. The guy is clearly an expert when it comes to traveling with small humans, and he shared some of his know-how in a really great interview with the New York Times. But, there’s this perception that with international travel it’s not worth it because they don’t get it. I think they do. And I think they see their parents behave differently in different cultures. My kids are pretty good travelers. I think they’re more sturdy because of it, more resilient. The people sitting across the aisle on a seven-hour flight to Rome are likely more resilient as well. The entire interview is really wonderful, though it’s unlikely to make you want to hole up in a postage-stamp-sized apartment with six other people who mostly can’t wipe their own butts yet. Let alone take them on the road.